Hannah Shea-Simonds is running a series of lectures covering all aspects of horse ownership and care. Our lectures here at Farleigh will be fun and informative. Hannah’s aim is to educate owners in order for them to gain a better understanding of the requirements and needs of their horse. 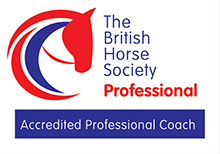 Practical topics such as travelling, lunging, long reining, and basic horse & rider first aid will be covered. Are our horses fit enough? Please visit our events page for details and to reserve your space.